The map indicates the percentage voting for Norma Paulus (R) in the head-to-head with Neil Goldschmidt (D). Goldschmidt received 52 percent of the vote. 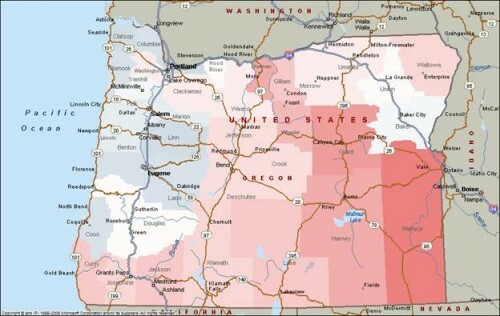 Paulus won eastern and southern Oregon and both suburban counties: Clackamas and Washington. The growth is in percentage terms. In general, 1986’s Republican areas have grown the fastest. 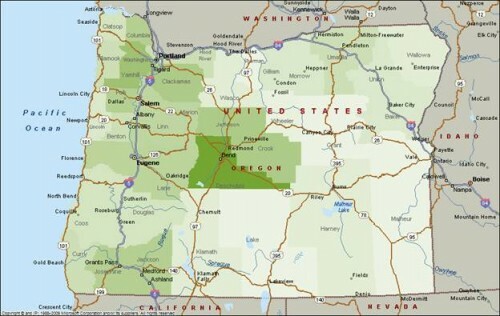 The greatest growth, clearly, has been in Deschutes County. One could have guessed that Republicans would be in control. However, that is not the case. Though Republicans are stronger in the state legislature than in 1986, first retaking the House in 1990, Republicans have been cleared out of statewide offices. Republicans held six of seven in 1986 and hold zero of six currently. It’s also important to note that Multnomah County has not grown that much. The Democratic intensity has grown, but not the relative share of voters. 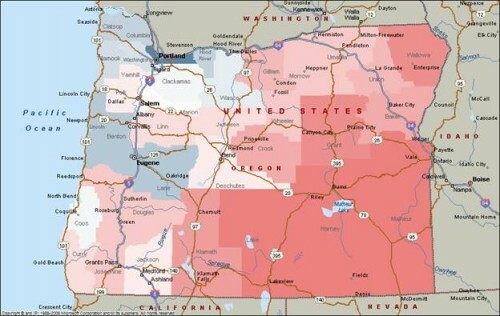 The registration margin changes by county between 1986 and 2010 are at: http://lindholmcompanyblog.com/?p=5272. Persons from the Seattle-Tacoma Metro area are more likely to get their news from TV every day than the rest of Washington is. Watch the news on television or get news from television internet sites – basically every day, a few times a week, a few times a month, once a month, or not at all? The changes are in percentage terms. Though the sense among many is that Oregon has shifted to the Democrats, there has been relatively little change during the past 24 years. In fact, as visible above, comparatively few counties have shifted toward the Democrats. The greatest shift towards Democrats has been in Multnomah County. There has been a greater division statewide. 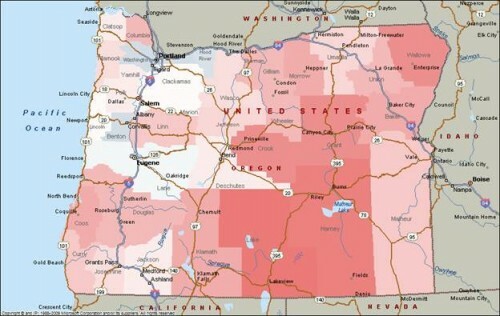 Eastern and southern Oregon have become significantly more Republican. This map is based on the 1986 registration figures http://lindholmcompanyblog.com/?p=5266 and the 2010 registration figures http://lindholmcompanyblog.com/?p=5269. In general, persons from the San Jose metro are less likely to get their news from TV than either the San Francisco metro or California as a whole. Legend is the registration margin in percent by county in 1986. Compared to 1986 far fewer counties are net Democratic, but the Democratic concentration in Multnomah County is much stronger. Persons from the Portland metro are more likely to get their news from TV every day as opposed to the average Oregonian. Compared to 2010 there are more counties that are net Democratic, but none of the Democratic margins are as strong. 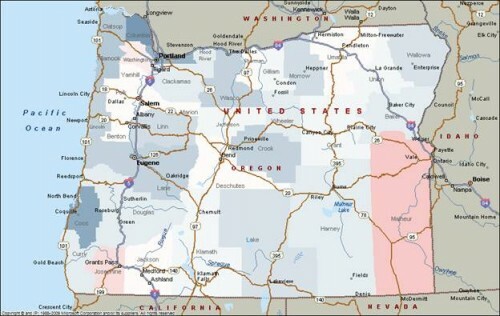 This post begins a series of posts that will look at the changes in Oregon’s political geography between 1986, the first loss in the current series of Republican Gubernatorial losses, and 2010, the most recent loss in the current series of Republican Gubernatorial losses. The plan is first to look at the partisan registration rates for the two elections and then to look at the Gubernatorial voter for the two elections. The Seattle-Tacoma area has higher magazine readership. Read news magazines such as Newsweek or Time, in print or on the Internet – basically every day, a few times a week, a few times a month, once a month, or not at all?